/14.11.2006/ "Yakutugol" - leader of national economy. 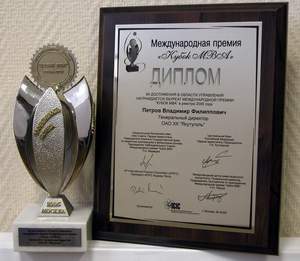 Our holding company obtained this award in International Summit "Leaders of National Economies" which took place in "President Hotel", Moscow, October 25, 2006. This summit was conducted by International Business Council (Russia) and "Global Resources Management" Association (Switzerland) under the auspices of the Ministry of Economic Development and Trade of the Russian Federation. This year the motto of the summit is - "Integration, investments, leadership". Yakutugol was among other 167 Russian enterprises listed in the summit, for instance, well-known Russian companies, which became a Laureates included JSC "Air Complex named after S.V. 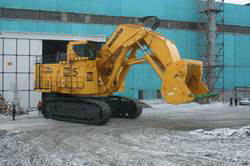 Ilyushin", "Russian Construction Company - Samara", CJSC "Vodokanalstroy", Insurance Company "ASKO" and others. OJSHC Yakutugol sum up the results of the work for 9 months of 2005 . Coal production within 9 months was 7179 thousand tons this is 111 tons more in comparison with the plan. тонн. 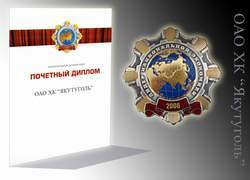 Miners of Nerungrinsky mine produced 6672 thousand tons against the plan of 6540 thousand tons.